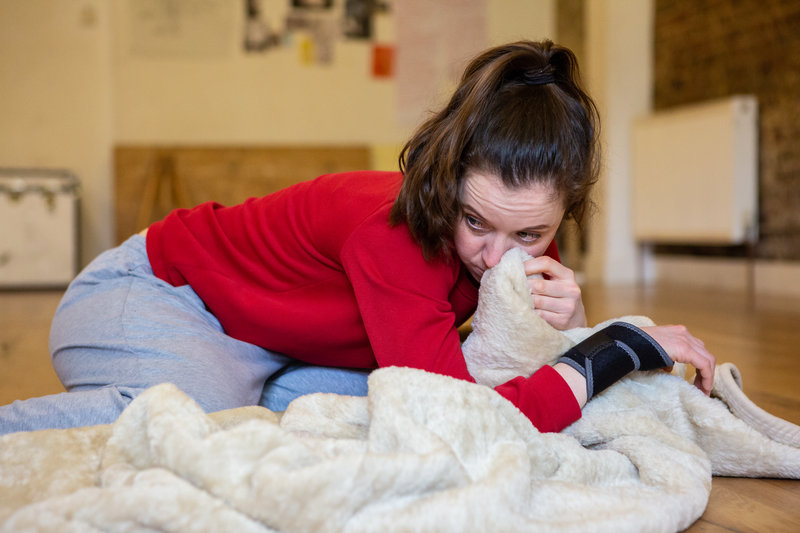 "To make one homogenous show is, to me, increasingly nonsensical": Rachel Bagshaw and Tamar Saphra talk about making work which actively includes disabled and non-disabled audiences. The Shape of the Pain at Battersea Arts Centre. Photo: The Other Richard. The Noises has been created in collaboration with access consultant Amelia Cavallo: Saphra says that “having someone who can directly support me as a non-disabled theatremaker and director has been really helpful.” Bagshaw agrees that “it is really important that we can get those audiences to see the work really early on, and to oversee the development in some way.” In a review for Exeunt, Amelia Cavallo talked about two shows that got integrated access right, saying that “they made disability a dominant, creative, exciting and political presence with an effortlessness that meant everything felt smoothly inclusive. Integrated access in particular can be clunky in some shows, especially if it is an add-on at the end of a process.” It’s an idea that makes me think of the growing use of sensitivity readers in fiction: the idea that creating work about and for certain audiences comes with a responsibility, and that dialogue is core to the process, not an optional extra. Bagshaw and Saphra’s carefully crafted approach sits alongside other trends in the world of access. Earlier this year, the National Theatre launched its pioneering smart caption glasses, which mean that D/deaf theatregoers can access any show across the venue. So far, feedback seems to have been hugely positive. 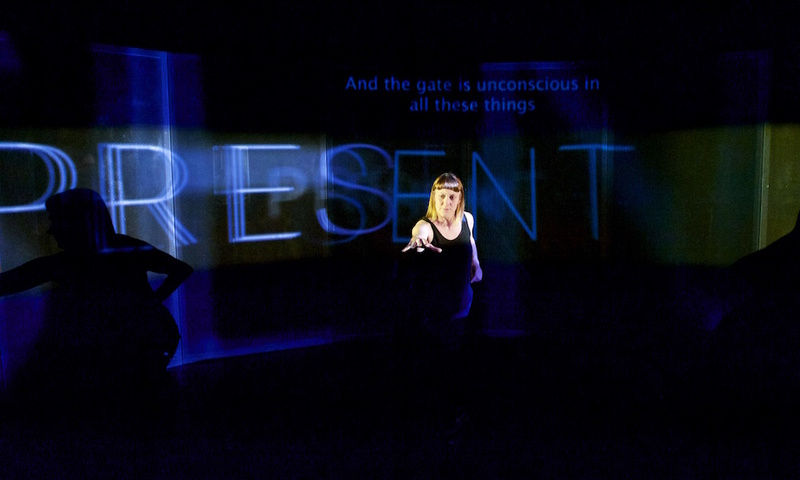 Sophie Woolley, a profoundly deaf artist and theatregoer has said that the trackpad options for text placement, colour, and size meant that ‘I felt as though I was writing graffiti on the set’. The NT’s speech-following software ‘listens’ to the words the actors say, and match it to prepared captions. The National Theatre’s smart caption glasses feel like part of a world where access issues are increasingly being solved through technology: like text-to-speech software, or navigation apps for blind people. The Japanese government is even working towards alleviating its adult social care crisis by developing bear-faced robots that can lift adults out of wheelchairs. These technological advances feel like a double-edged sword. Innovations like smart caption glasses mean that (some) disabled users can access the theatregoing experience more easily than ever before. But technology can also potentially come with lessened visibility, and means that disabled people’s needs and voices aren’t necessarily at the forefront of the creative process. It’s a refreshing attitude in a world where the default audience member is still implicitly non-disabled. At Southwark Playhouse, All in A Row attracted criticism for telling the story of an autistic child in a way that wasn’t sufficiently accessible (or sensitive) to the needs of autistic audience members. And at most mainstream venues, accessible performances are often a one-off occurrence: a single captioned or audio-described performance during a show’s whole run. Even theatre made with disabled audiences at the forefront comes up against challenges: inclusive festivals like Unlimited work with a huge multiplicity of different needs to be accommodated and different communities to be reached. Sometimes, disabled access is talked about as though it’s something singular (and synonymous with wheelchair access) but the reality is much more complex, and multi-layered. The Shape of the Pain plays Cambridge Junction on 3rd April, and Northern Stage on 5th April: more info here. The Noises is on at Old Red Lion Theatre until 20th April. More info here.